When Alma College Professor Anthony Collamati sat down with all the students in his winter semester Media Theory and Culture class for the first time, the course was almost over. 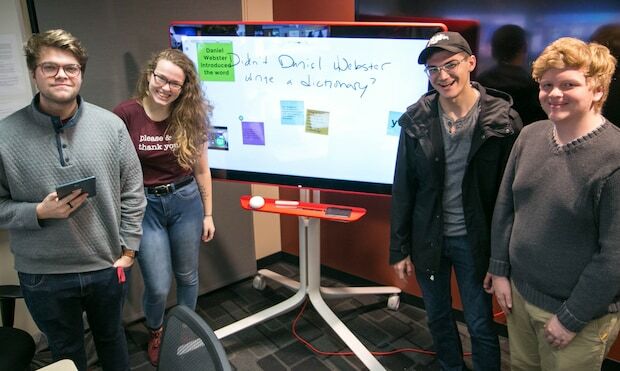 Collamati was part of a revolutionary pilot program led by the Michigan Colleges Alliance that allowed students at Alma, Albion and Calvin colleges to take courses at member campuses using video conferencing technology from Google and interactive 55-inch “jamboards” to communicate. That means Collamati had seven students in a classroom at Alma, six Albion undergraduates dialed in from their campus and three from Calvin attending from Grand Rapids. The collaboration between the Michigan Colleges Alliance — a group of 14 of Michigan’s best private colleges and universities working together to provide opportunities for students in and outside of the classrooms — Google, which donated technology, and Steelcase, which outfitted learning environments for optimal communication, is the first-of-its-kind nationally. The idea behind the interactive multi-campus class sharing is to maximize limited resources and provide students wider learning opportunities, said Michigan Colleges Alliance President Dr. Bob Bartlett. Students agreed with Bartlett’s assessment. Nichole Brown, an Albion junior studying math, was part of Collamati’s class. She registered for the section specifically to experience and learn the technology. Brown said any initial skepticism ended with the interactive nature and excitement of being part of something new. The pilot was structured around three classes that are unique to the school or typically have lower student registrations. Bartlett said the courses, “Earth, Art and the Environment” offered through Albion, “Visual Sociology” through Calvin, and Collamati’s, were chosen to highlight that the program could tackle demanding topics. Collamati described building a close connection to and between the students despite the distance between the campuses. He and the students had to lean-in and engage each other, developing seminar-style robust discussions. Each class session felt like an event, Collamati said. “It supports the type of personalized teaching that we value and know is most valuable,” Collamati said. Collamati reflected on the recent lunch at which he physically met two-thirds of his students, saying it didn’t feel like their first encounter. “I knew their personalities just like I would if they had been sitting in front of me the entire semester,” he said. The colleges are studying how to improve the experience while planning to expand the partnership in Fall 2018 to include seven classes. Roman Williams, a Calvin College sociology professor who taught one of the three pilot classes, said the evaluation will help all parties understand the program’s strengths and how it can develop. The second edition of the collaboration will focus on more traditional math and science courses to explore how the technology works in those arenas. Bartlett praised the institutions for being innovative. Pretty boring, huh? Only good for looking through and daydreaming, right? Now consider life without them. Not so boring anymore. Existence would be a lot more grueling — and expensive. Add in a looming global energy crisis, and suddenly research into better windows is more vital. 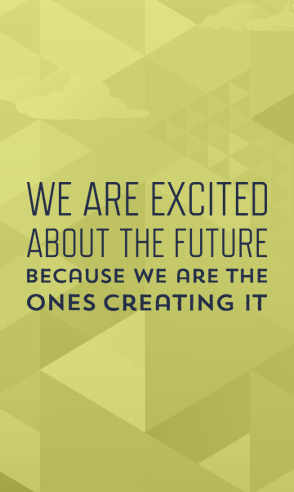 That’s why what’s happening at Calvin College is so exciting. The school is partnering with a Grand Rapids firm, Mackinac Technologies Inc., to bring to market a product that vastly improves energy efficiency. The polymer pane that bends is custom fit to existing windows, reducing building energy loss by as much as 60 percent. “We are providing the testing and analysis to show that the coatings are effective at reducing the heat loss through windows,” Renard Tubergen, an associate professor of engineering at Calvin, told the Grand Rapids Business Journal. He’s recruited students to participate in the research, along with Richard DeJong, an emeritus professor at Calvin. The partnership isn’t unique at Calvin or Michigan’s 15 top independent colleges and universities. All are award-winning academic institutions. And all know there’s life outside the lecture hall. Think big enough. Dream outlandishly. Who knows? 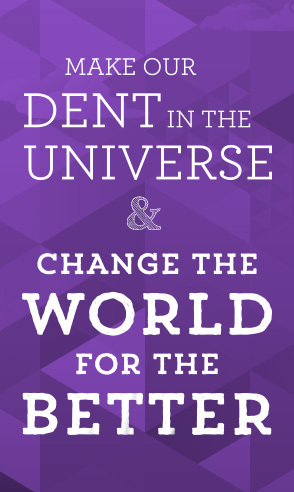 You could change the world. Aided by federal grants, the Calvin-Mackinac partnership could one day help do just that. Highly durable and transparent, the product they’re working on could save one quad of energy if fully implemented throughout the United States. One quad is the equivalent of 8 billion gallons of gasoline. The United States used 95 quads all of last year. So theoretically, the product could help cut the nation’s energy usage by more than 1 percent — an enormous amount. Suddenly, the humble window isn’t so humble anymore. That’s the sort of bold, brash thinking that typifies Calvin and the rest of Michigan’s independent colleges and universities. 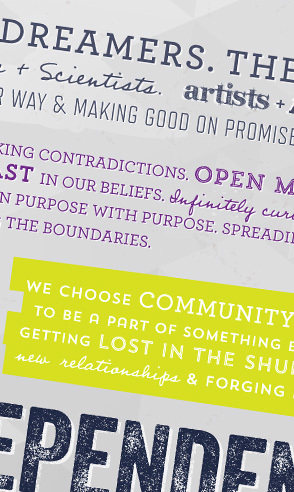 Daring doers, their faculty encourage students to think differently and chart their own path. With low class sizes and an encouraging network of alumni, the colleges have a sense of community that simply doesn’t exist at big state schools. And despite what you may have heard, independents are often less expensive and boast higher four-year graduation rates that big universities. Be bold. Be different. 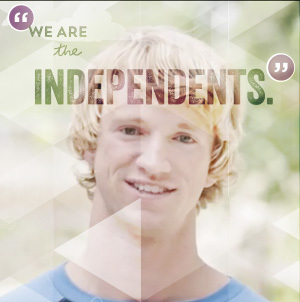 Go independent. You never know what will spark your inspiration. But inspiration is one thing and innovation is another. And Ross, who works at Spectrum Health Center, knew just where to turn to lighten the load. After experimenting by using a crutch as a lever, Ross took his germ of an idea to Hope College’s Center for Faithful Leadership, an innovative program that pairs students with experts to bring awesome ideas to fruition. A unique mentoring program, the center believes that college is as much about solving real-world problems as theoretical principles. It complements the classroom, pairs freshmen and sophomores with experts and stresses that productivity is integral to happiness. In short, the program is about going to work. So that’s what four Hope College students did with Ross, the therapist with a fuzzy idea. “I can’t say enough about how much I enjoyed working on this project,” Brenden Merriman, a biomedical engineering major who worked on the project. The idea seems simple. But the real world applications could be huge. Ross wanted to develop the product to give freedom of movement back to some of his clients, who think twice about travel because of the prospect of lugging around a wheelchair. The product isn’t ready yet for market. 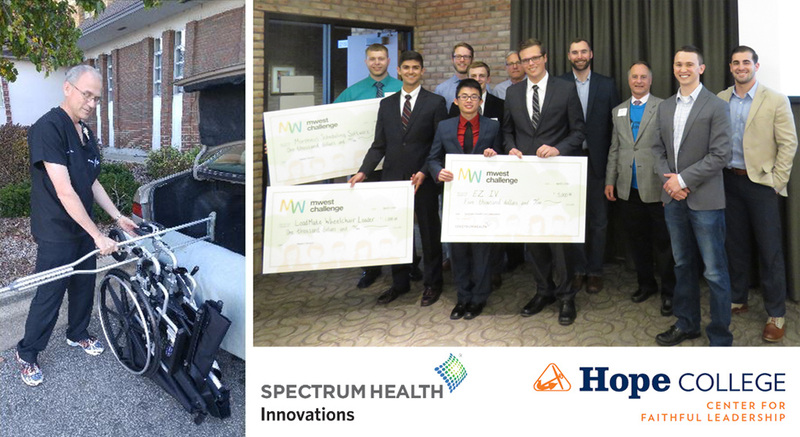 But it won a $1,000 prize this year at MWest Challenge 2016, West Michigan’s regional business plan competition. 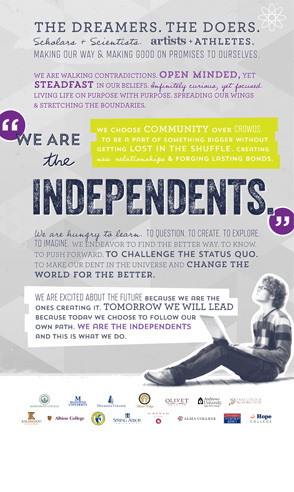 And it’s a great example of the unique spirit at Hope College and Michigan’s 15 independent colleges and universities. They’re proudly different, committed to human betterment and all about fostering lifelong bonds between their award-winning faculty and students. All emphasize community over crowds and an ethos of cohesion that just doesn’t exist at big state schools. 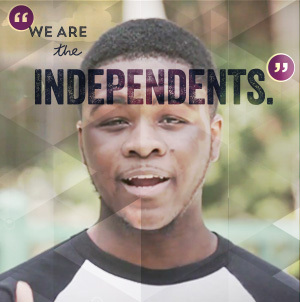 Often less expensive than public institutions, the independents boast higher four-year graduation rates for a truly unique and affordable experience. Think of it as a Lollapalooza of the Mind. Or a two-week TEDx. Calvin College calls it the January Series and for 29 years, it’s brought some of the world’s most critical thinkers to the Grand Rapids school. For 15 days, starting this week, international experts will come to the college to discuss ideas big and small, topics that shape the world, from global health and autism to foreign affairs and cyber security. Speakers include New York Times columnist David Brooks, counterintelligence expert Eric O’Beill and Bethany Williams, a psychologist who specializes in healing children traumatized by war. “At Calvin, we teach students to think deeply, to live wholeheartedly and to live into justice. That’s exactly what we do through the January Series, too,” says Kristi Potter, director of the January Series. The free speeches are held every weekday at 12:30 p.m. on campus until Jan. 29. And they’re webcast and shown on large screens in 45 libraries, schools and churches throughout the United States, Canada and Lithuania. Last year, they reached some 40,000 people, and its reach is expected to grow again as the award-winning event continues to evolve and add more diverse speakers. 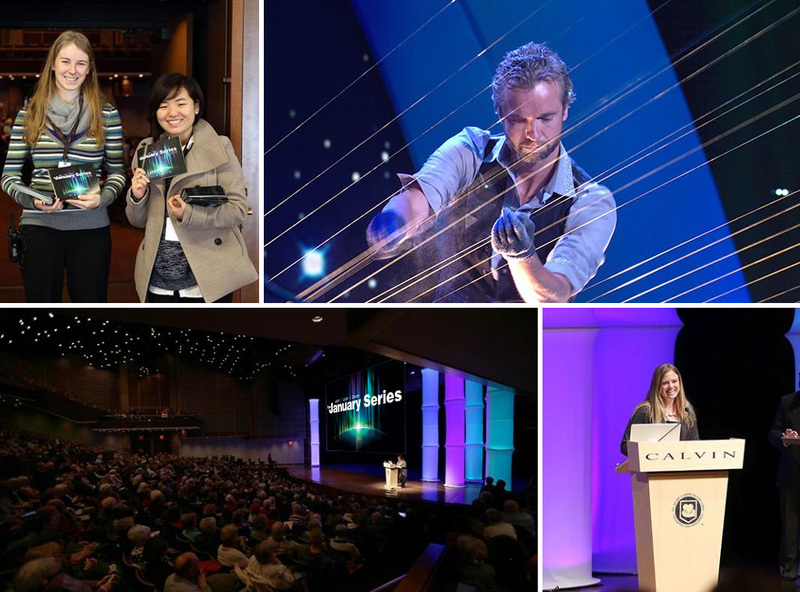 This year, for instance, Calvin’s auditorium will be converted into a giant harp by William Close. He’s a finalist for “America’s Got Talent,” who plans to extend strings to the back of the auditorium — over the heads of the audience — when he performs Jan. 19. It’s an unusual performance for an extraordinary event — one that combines passion, a thirst for knowledge, love of community and commitment to improve the world. That exuberance typifies everything done at Calvin and Michigan’s top 15 independent colleges and universities. All pride themselves in being purposefully different than big state schools. They emphasize community over crowds and a spirit of togetherness and cohesion that is truly unique. Their world-renowned faculty forge tight bonds with students, helping them maximize potential and chart their own paths. A funny thing happened when national test results were announced this month to become certified accountants. Hillsdale College finished in the top 3 percent, ranking 22nd out of 776 schools whose recent graduates took the United Certified Public Accountants exam. It’s kind of a big deal. Because Hillsdale doesn’t hide from the fact that it’s a classic liberal arts school, providing students with a well-rounded education in western civilization and great books rather than training them for a job. 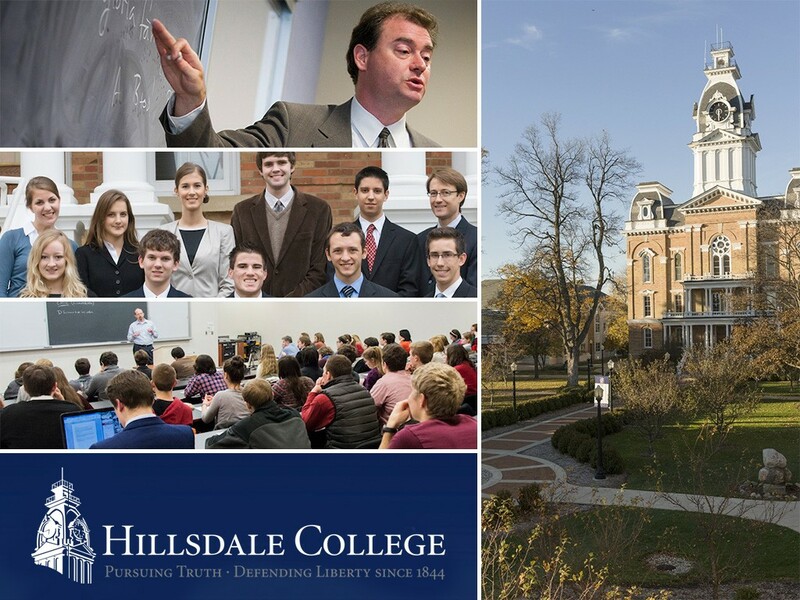 “Anyone who questions the value of a liberal arts education should look at the students graduating from Hillsdale,” said David Whalen, Hillsdale College provost. More on that in a second. First, the results. Hillsdale students who study accounting and took the CPA test for the first time had a passing rate of 78 percent, with an average score of 81. That’s more than 31 percentage points ahead of the overall national pass rate of 49.5. Now, about liberal arts. Among some schools, it’s not trendy to admit they teach liberal arts. Hillsdale is unabashed and unbowed about what it provides, standing firm in its commitment to traditional education despite the prevailing tide of conventional wisdom. Now, the rest of the world has caught up. Study after study shows Fortune 500 companies, particularly the tech industry, prefer graduates of liberal arts schools. That’s because the graduates not only learn valuable skills such as accounting — as the recent test results prove — but they learn how to think critically, ask questions and create. It’s a novel concept and one embraced by Hillsdale College and Michigan’s top 15 independent colleges and universities. The schools pride themselves on partnering award-winning faculty — who are experts in their fields — with students, forging tight bonds that allow them to chart their own path. Class sizes are small. Community is cherished. Knowledge is king. It’s an experience that simply isn’t available at traditional universities. 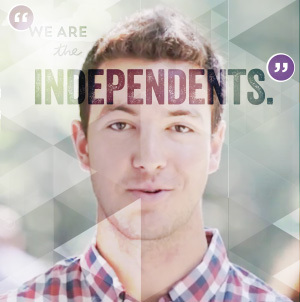 And despite what you may have heard, independents are often less expensive and boast higher four-year graduation rates than four-year institutions. They’re two words that don’t always go together: Business and compassion. But they’re guiding principles for the University of Detroit Mercy’s College of Business Administration, which believes that you don’t need to forsake your soul to succeed in business. The vision was recognized yet again recently, when U.S. News and World Report ranked the College of Business Administration No. 10 nationally in its “Best Colleges” guide. The Detroit-based university ranked alongside big state schools such as University of Pennsylvania, University of California-Berkeley, Massachusetts Institute of Technology and University of Texas for the honor. And it’s an improvement from last year, when the school was ranked 14th. “We’re delighted to have our undergraduate Management program ranked among the top ten in the country by U.S. News & World Report” said Dr. Joseph G. Eisenhauer, Dean of the College of Business Administration. “Our students not only acquire competence through first-rate technical and evaluative skills, but they also develop their consciences by studying business ethics and practice compassion for others by undertaking service-learning and social outreach,” he said. The college prides itself on close bonds between faculty and students and a network of corporate executives and alumni who mentor students. 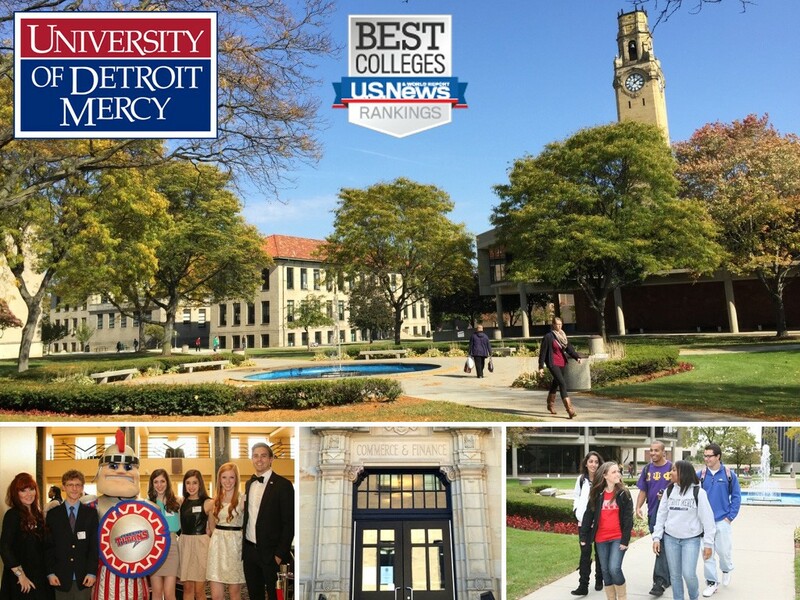 That’s because the University of Detroit Mercy is guided by another value: Community. One of Michigan’s top 15 independent colleges and universities, it prides itself on being different than big state schools. Their faculty teach classes, rather than relying on grad students, and help students chart their own path. 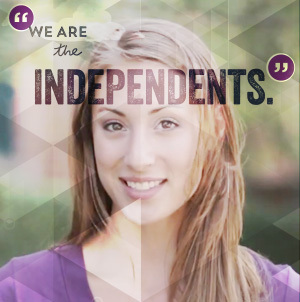 Mallory Brown went to college hoping to plan events. She left wanting to change the world. She’s well on her way. 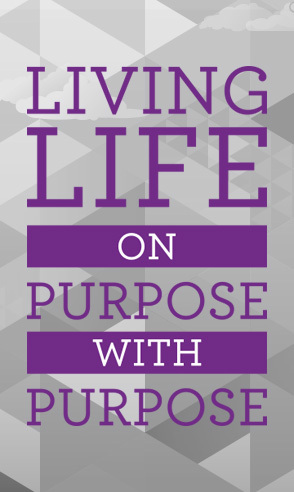 Albion College helped Brown forge a unique path that combines business, social entrepreneurialism and global studies. She’s the founder and CEO of World Clothes Line, which donates a shirt to the needy worldwide for each one her customers buy. “I travel to impoverished areas around the world to personally deliver new clothes to those who need them most,” said Brown, who graduated in 2008 with degrees in French and economics from Albion’s Carl A. Gerstacker Institute for Business and Management. Brown will tell her story Thursday at TEDxDetroit, the world-renowned symposium of ideas, optimism and collaboration about technology, entertainment and design. The all-day event is at the Fox Theatre in Detroit. She grew up in Farmington Hills, Michigan, and was in Albion for event planning until her life took a detour. Brown went on a study-abroad program in Paris and loved it. She worked with her advisers to integrate her passions — travel, business, social justice — into a career track. Her dream didn’t coalesce until after she graduated and backpacked in Asia and South America. She was dumbfounded by how many people lacked good clothes. After spells in other industries, she launched the World Clothes Line in 2010 when she was 24. 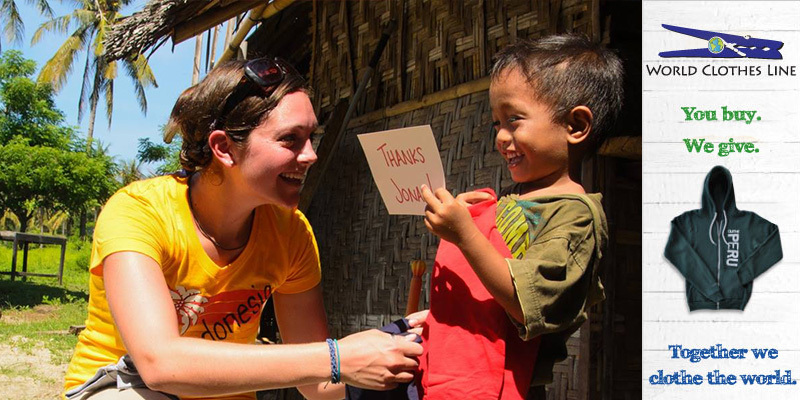 Flash forward five years and she’s delivered clothes to people in need in 16 countries. “The incredible preparation from Albion gave me the flexibility in my career to take chances, try new things, and take advantage of new opportunities,” Brown says. This January, she visited Haiti for three weeks, an experience she described as “incredibly emotional.” This summer, it was an earthquake relief trip to Nepal. Friendships made at Albion also helped her business. One of World Clothes Line’s partners is CreateMyTee.com, which was founded by Albion alums Josh Fales and Nick Shelton. That’s the hallmark of an education at Michigan’s top 15 independent colleges and universities. The schools are guided by passion and community. Class sizes are small enough so students not only know their professors, they form lifetime bonds. Professors pride themselves on working closely with students to help them forge their own path, buck conventional wisdom and find a new way. It’s an experience that simply isn’t available at traditional universities. 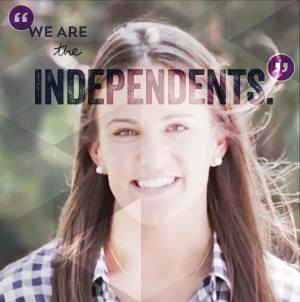 And despite what you may have heard, independents are often less expensive and boast higher four-year graduation rates than four-year institutions. The magic of college is that it marries inspiration with application, encouraging the wildest imaginations and teaching skills to turn flights of fancy into reality. Where else but college are students not only encouraged to dream of riding a snowmobile on water, but given the knowledge to make it happen? That’s what’s happened to four Calvin College students whose senior engineering design project is getting buzz worldwide. It’s called the Jet Blade. Think of it as Mad Max’s answer to a jet ski. It’s part personal watercraft and part snowmobile. But it’s all awesome. And it’s something that has to be seen to believe. The students — Zak DeVries, Nico Ourensma, Josh Vanderbyl, and Ryan DeMeester — took their love of outdoors and wedded it into an out-of-this-world idea that has attracted attention from websites worldwide and the Discovery Channel Canada. The contraption has a 650 cc engine and two skis in front and one in back, giving the feel and control of a snowmobile. “A traditional jet ski, when you’re riding it around, typically you’ll sit on it, like a Sea-Doo style, and those actually turn by having the jet in the rear, directing the watercraft in the direction it needs to go,” DeVries said. Not surprisingly, the project got an A. Now, the students have a Jet Blade website, and they’re looking for investors to bring a similar vehicle to market. Who knows? Smaller dreams have changed the world, and Calvin College and the 14 other top independent colleges and universities in Michigan take pride in nourishing the tiniest dreams and cultivating them into greatness. 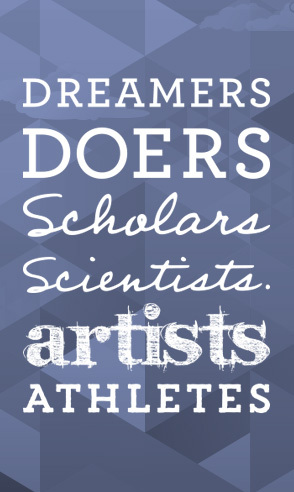 That’s because helping students fulfilling their paths and passion is what they do. The schools emphasize community over crowds and a spirit of togetherness and cohesion that just doesn’t exist at big state schools. With low class sizes and award-winning faculty, the schools are proud that students forge lifelong bonds with professors. Business is good. But you’re at a crossroads. The company that began with five people and a dream 41 years ago now employs 2,100 and sales are approaching $1 billion. But the terrain is shifting. The family business now serves a global market. Executives who nurtured the company are ready to retire. Change is inevitable, but where do you turn? If you’re the Shape Corp., you tap the minds and business savvy of professors at Albion College, Hope College and Spring Arbor University. In a unique marriage of the real world and academics, professors from the Michigan independent colleges helped chart a path for the next generation of the Novi design, engineering company. Albion College Professors Dr. Vicki Baker and Joy Nakfoor, Hope College Professor Dr. Peter Boumgarden and Spring Arbor University Professor Dr. K. Caleb Chan worked closely with company officials to map a plan for future leadership, as well as develop a global leadership development program. It was a good fit. The faculty had deep, real-world business experience, running entrepreneurial ventures and consulting Fortune 500 companies. As natural as it seems, the partnership is so unusual it will be featured and celebrated in the September/October issue of Academe, a publication of the American Association of University Professors. “While we each bring a unique, but complementary skill set to the table, we all share a passion for solving problems and drawing on what we do best—instilling the core values of the liberal arts in our students, believing them to be relevant to the complexity of the modern business world,” Professors Baker and Boumgarden wrote in a paper about the experiment. That sort of thinking is typical at Michigan’s top 15 independent colleges and universities, where world-renowned faculty encourages taking a different approach to problems — and learning. While other universities are hemmed in by orthodox views on where business school ends and practical business begins, Michigan independents chart a new path. 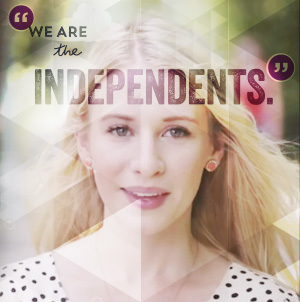 It’s just one of many examples that separates the independents and makes them shine. Academically rigorous, the schools offer small class sizes. Their faculty are experts in their field and forge lifetime bonds with students who value communities over crowds. 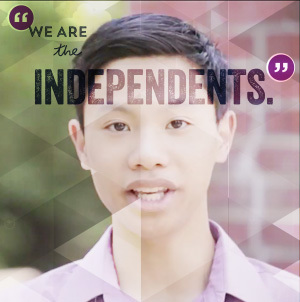 Often less expensive than public institutions, the independents boast higher four-year graduation rates and smaller class sizes for a truly unique and affordable experience. DID YOU KNOW THAT THE AMOUNT YOU PAY AT Michigan's top independent colleges and universities COULD BE LESS THAN WHAT YOU’D PAY AT A PUBLIC INSTITUTION? 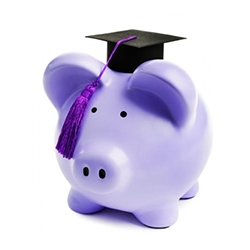 Michigan's top independent colleges and universities are more affordable than you think. Actual costs are comparable to public institutions. More students receive financial aid, on average, at Michigan's top independent colleges and universities than public ones. Graduation rates at Michigan's top independent colleges and universities are double those of public universities. The average class size at Michigan's top independent colleges and universities is just 17.5 students. Compare that to the massive lecture halls of the big public universities. Choose community over crowds. 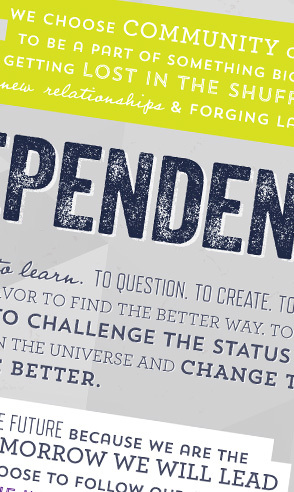 At Michigan's top independent colleges and universities, you'll learn from professors. Not the TAs you’ll often find leading classes at big public institutions. 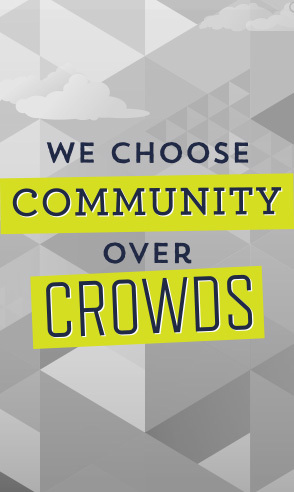 Community is the culture at Michigan's top independent colleges and universities. Classes are tight knit. Students and faculty forge lifelong relationships. 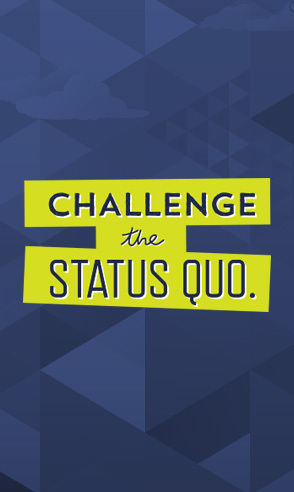 The alumni network is bar none at Michigan's top independent colleges and universities. They’re engaged and invested in you. Diversity is cherished. The demographic makeup of students at Michigan's top independent colleges and universities mirrors that of the state. 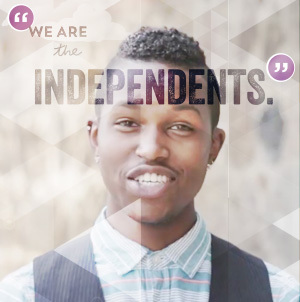 Stay in the loop with all of the latest scholarship opportunities, contests, events, campus tours and career programs for We Are The Independents.